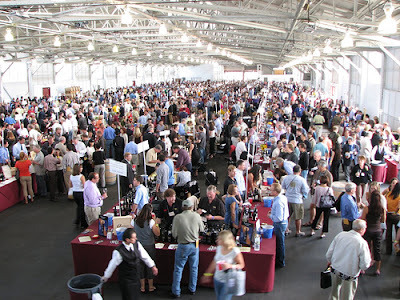 If you happen to be in the SF area, do try to make it to Family Winemakers, being held at Fort Mason, in San Francisco, Sunday, 12-4pm on August 19th. It's an awesome event. 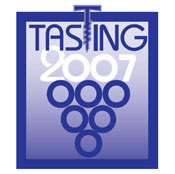 Around 300 wineries will be pouring, and they're all pretty great. Tickets are $45 (in advance) and $55 at the door. I will be a relief pourer for friends at Bravante Vineyards. So if you happen to be in the "B" area, come by to say Hey. 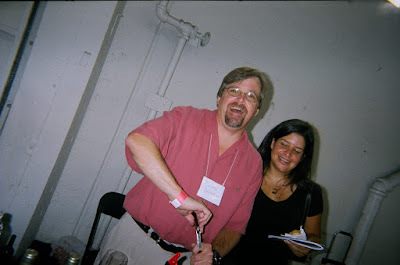 That's me last year, helping Duane pour his D-Cubed Zinfandel. I was pretty lit. After looking through the list of participating wineries, I drew up my list in alpha order of wineries I want to try (some I've had before, but most will be for the first time). I plan to hit the P's, V's M's, & S's first. It's lengthy but I plan to be spitting (sometimes). I'm excited! !